Gordon Koang Duoth - The Beacon Of South Sudan The legendary Gordon Koang Duoth landed in Calgary, Alberta on September 18, 2013. 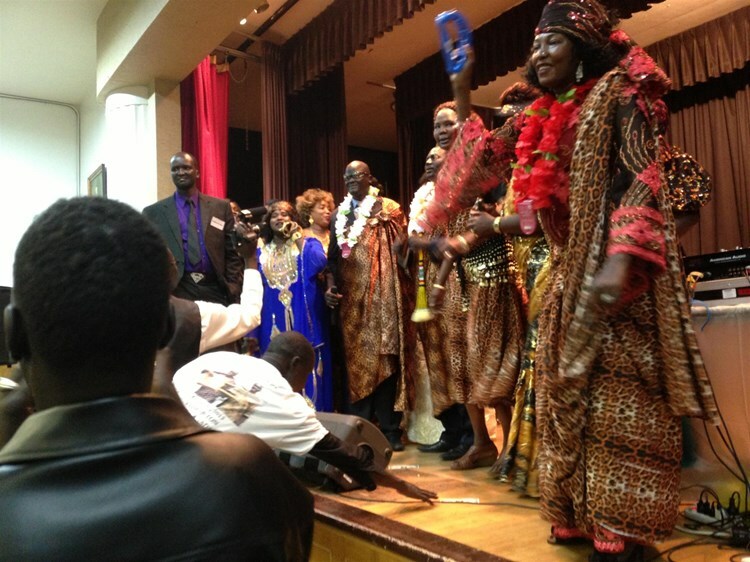 It was an emotional moment for the South Sudanese community here in Alberta. Many of the people have been listening to Gordon Koang's music since their youthful days. They know his music word for word. Gordon Koang sang about unity, humility, love, forgiveness and many more meaningful topics. He's the beacon of hope for the South Sudanese people. During the Sudanese civil war where the south and north Sudan were at war he sang about love and unity. He wanted the Sudanese people to see their humility thus how they were interconnected. Gordon is multilingual and because of that ability he was able to sing in many languages that reached various local citizens. Whether you spoke Nuer, Dinka or Arabic he had music for you. He was very popular among all tribes and even the government favored him. He was a peaceful and comforting individual. For a young South Sudanese, being in his presence is like being in the presence of God. He's that big! Kenya Attacked; How Will You Respond This Time?